May I take this opportunity to welcome you to our website and hope by reading and using the site you will get a picture of the vision, aims and values we uphold. We are extremely proud that we are a community school and as such our approach is very welcoming. I promote an open door policy and parents can expect to see me in and around the school on a daily basis. Our children deserve the very best of education and it's my job to ensure this is delivered at Larchwood. I encourage children and parent feedback regularly and ensure these views are listened to and acted upon. I hope you enjoy finding out about our school and the difference we are making in children's lives. I have shared our mission statement which I am confident encapsulates what is being achieved at Larchwood. If you would like further information, please feel free to contact us via the school office. All children achieve their potential, enjoy their primary years and are given opportunities and experiences they will remember for life. Our children learn within a safe, secure and caring environment where their education, inclusion, well-being and social skills are promoted daily. Find out more on how you can help support your child's learning via the link below. Whereabouts in the county, country and even world, are our website visitors coming from? Do you know people living in different places in the UK or across the globe? Get them to look at our school's website and grow our audience nationally and internationally. 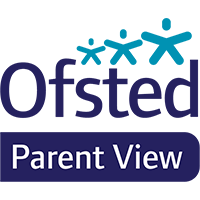 Ofsted have a website called Parent View. This is where parents, who are an important stakeholder of the school, get to express their views. If you are a parent, and haven't answered their 12 quick questions, please sign up. What's for dinner this term?